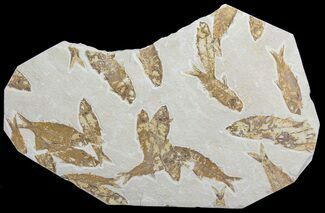 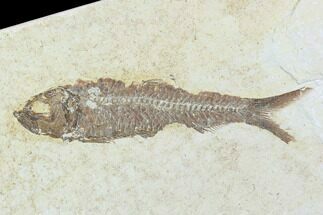 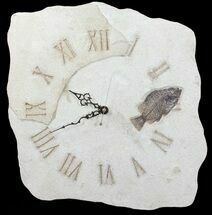 This is a really cool clock made out of a slab of shale containing a pair of Knightia eocaena fish fossils. 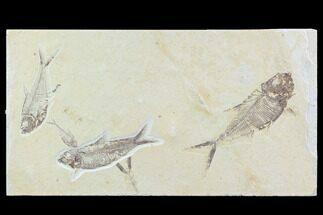 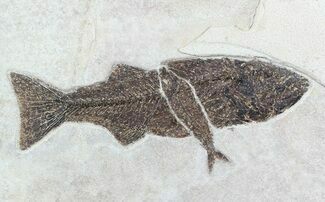 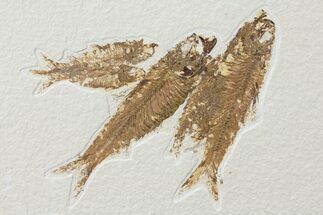 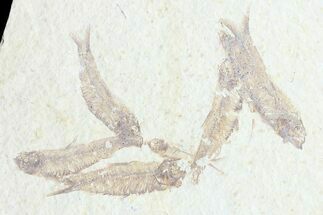 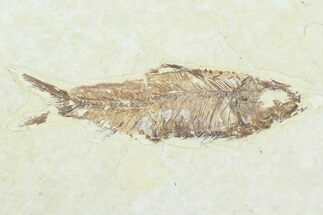 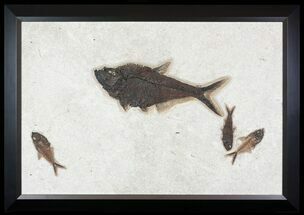 The fish in their natural position in an unbroken slab of shale which has been shaped, backed with wood for hanging and had a working clock mechanism installed. 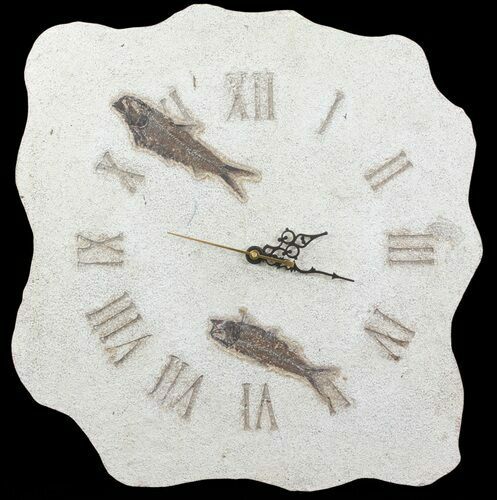 Fish 5 & 4.5", Clock 14.5 x 14.5"